This year, on the 45th anniversary of its publication, W.W. Norton & Company has re-(re-)released Desperate Characters, a novel by Paula Fox first published in 1970 and made into a film the following year, with Shirley MacLaine and Kenneth Mars. We’re thrilled to publish an excerpt here on Longreads. 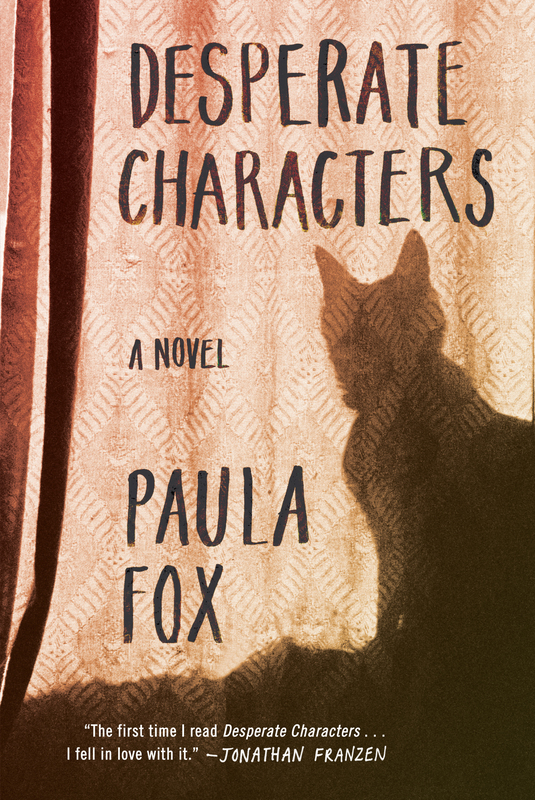 Desperate Characters, just one of many books by Fox, is a slim, taut volume about an affluent, middle-aged white couple living near but not quite in Brooklyn Heights in the late 1960s. Sophie and Otto Bentwood are anxious about racial tensions and the changes taking place around them, in a crumbling, late Civil Rights Era New York, and about their social standing in the bourgeois circles they travel in—although, they avoid speaking outwardly about such things. Willful avoidance of uncomfortable matters is standard operating procedure for the Bentwoods, Sophie most of all—a tendency most outwardly represented by her reluctance to acknowledge or seek treatment for the deep, infected cat bite she sustains in the book’s first pages, and which naturally worsens through every scene. I got to talk briefly with Fox, 92, who spoke over the phone from her home in Cobble Hill. We discussed the difficult truths she was examining in Desperate Characters, and the ways in which certain dated aspects of the book aren’t truly as dated as they appear to be, on the surface. I read in an interview you gave to The New York Times Magazine in 2001 that the most important thing for you in writing fiction is unearthing truth. What were the truths you were concerned with in writing Desperate Characters? I’m thinking of how complex truth can be, and yet how bold and naked it can be. Like a naked human body. If it’s white, it has one set of laws, and if it’s black it has another set of laws. So racism was a truth you were examining? Yes. In this country, especially in the southern parts, there were lynchings. There still are of a certain kind. Although not as naked, but they are lynchings. It’s happening now in different ways. This is a very primitive country in that way, in the context of racism and differentiation of various people. It has been terrible. There’s a racial tension at the center of the book that’s both dated and sadly not. There’s a kind of muted drumbeat, which is what racial tension always sounds like to me, except when it explodes. It’s less than it was in a certain manifestation, where people wouldn’t sell or rent to people of another race or class. Well, recently there was an article in New York magazine about a landlord in Brooklyn who only rents to white people. That’s so awful. It’s so retrograde. Yes, and to think it took this long to take down the Confederate Flag. There was that incident in Charleston recently. So, it’s still happening. Racism wasn’t the only truth. It’s one of a number of other truths. You have to be very careful about the word truth and its meaning, because it’s constantly changing. It’s being modified, or changed slightly, or violently. It goes along like a river through human life. The truth of life. In the excerpt we’ve got here, from Chapter 2, there’s a scene where the central characters, Otto and Sophie Bentwood, attend a party in Brooklyn Heights. At one point, Sophie is upstairs with the host when he notices a rock on the floor, and then the broken window it was thrown through. It seemed to me to be a metaphor for tensions that no one ever wants to acknowledge or speak the truth about. Absolutely. It’s for all kinds of tension, not just racial, but class—the poor, who don’t have money or success, against the well-to-do. There are all these antagonisms. All the antagonisms through history are played out through that window. What other truths were you getting at? I think the whole restlessness of thought and the restlessness of class, even in this country, which was established with some effort at eradicating class. I think it’s always there. We live by pressing our palms against the skulls of the people whom we climb over. The sense of that is very strong in human society. Sometimes it’s based on possessions, or looks, or color, or experience, or history, and all these various things that we make judgments out of. There’s such a great contrast between the New York City of the late 1960s depicted in Desperate Characters, and the New York City of now. I was born then, and was a kid in the 1970s, growing up in the New York suburbs. I recognize the place you depict—the city in decline, in danger of going bankrupt. When you were writing the book, could you have imagined New York City, or Brooklyn, the way it is now, so gentrified and developed, and in places, homogenized? My grandmother came here from Cuba. She came originally from Spain. When she came here, she didn’t come to New York, she came to Brooklyn. That was the story of New York in those days. It drew people from all over the world. It still does, but it doesn’t do it the way it did, with charm. It no longer has the charm. But it’s still a magnet. Can you imagine Brooklyn and New York City going back into decline some day? My feeling is that when you’re done driving out all the artists, and all the diversity, you have a very boring place that is suddenly not so desirable. I think that happens periodically in human life. Cities that were very amiable about accepting artist’s colonies become business places in a very tight and narrow way, but then that passes. Oh, yes. I go up to my study every morning and there’s the old typewriter. I don’t have one of the new typewriters. I’m scared of them, and I’m scared of the email, and whatever that is called. Yes. But I use it for historical research and publisher’s news. So, by “typewriter” you don’t mean computer or laptop? You literally write on a typewriter?